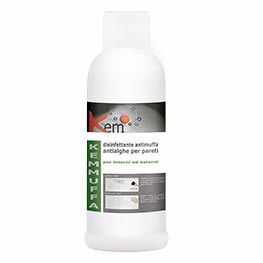 Concrete paint remover - KEMUFFA - COLORIFICIO ATRIA S.r.l. Flooring & Wallcovering > Paint, Decorative plaster > Concrete paint remover > COLORIFICIO ATRIA S.r.l. A CONCENTRATED SOLUTION RISANANTE MOLD BASE OF CHEMICAL COMPOUNDS. RISANA EXTERNAL AND INTERNAL WALL SURFACES CONTAMINATED WITH MOLD, ALGAE, lichens. INDOOR AND OUTDOOR.